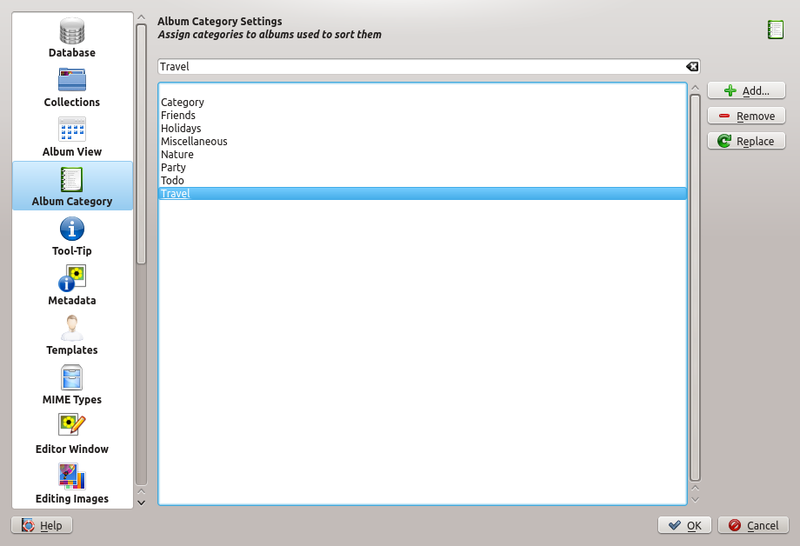 Did you know that you can assign categories to albums in digiKam? To do this, right-click on an album, choose Properties from the context menu, and the desired category from the Category drop-down list. To edit the list of existing categories, choose Settings → Configure digiKam and switch to the Album Category section. You can then add a new category as well as edit the existing entries. Assigning categories to albums makes it easier to sort and organize albums. The View → Sort Albums → By Category command can be used to arrange albums by their categories, and you can use categories as a search criteria in advanced search queries.